Most people know the wide variety of music, art and culture that Austin provides. But what many Austinites probably don’t know is they also have plenty of options when it comes STD testing. Hospitals are no longer the only option for anyone needing an STD test. Here are three great options that do not require you to visit a hospital for testing. The rest of this page reviews the pros and cons of each STD testing method and explains how & where to get tested. If you prefer something simple, straightforward and quick, a home STD test is the best alternative for you. The process is as simple as ordering a test kit online and then sending it back with your sample. In a few days time, you are informed of the test results online. This simplicity and convenience, combined with affordability, has made home STD testing one of the most popular options in Austin. This is an ideal option for those who would prefer to retain their anonymity. Most STD test kits cost no more than $150 and are even cheaper if you buy a kit for a single type of STD test. This is a far cry from the hundreds of dollars you will be billed at a hospital. 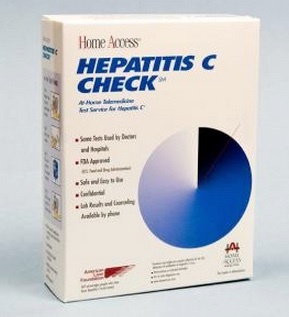 You can undergo the whole testing process without leaving your home. For people with busy schedules, this means getting the test without interrupting their work at all. Home test kits aren’t perfect, though. With an at-home STD test, there is no guarantee that the test results you receive are accurate. There is a chance of getting false positives or negatives. This unreliability is the reason the FDA does not recommend this method of STD testing – in Austin or anywhere else. Do not expect any counseling to be provided. This is a major downside for people looking for advice on the way forward, especially after receiving positive test results. The latest type of STD test to hit the scene, online STD test labs, offers the best of both worlds: greater reliability than home test kits, and complete privacy throughout the testing process. While you might pay a little more for an online-ordered lab test than a home one, the cost is still much lower than you would pay in a hospital. 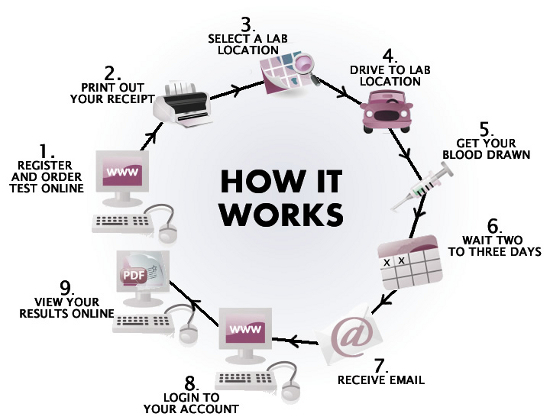 Submitting a sample at a local lab only takes about five minutes, convenient for even those with tight schedules. You never have to reveal your identity to anyone during the testing process. A code is used instead of your name. The test sample is submitted at a local lab where it is handled and tested under strict lab standards. There is no difference in the quality of testing from that of a hospital lab. You can therefore be sure that the results are accurate, that is, very low rates of false positives or negatives. Unlike the first option, you are not left to figure out the next step on your own once you test positive. In this case however, you can opt for counseling either by a local health care professional or by phone. Remember, the decision to get counseling is up to you and should you want it, it will be anonymous. With reliable results, convenience and assured anonymity, there is no significant downside to online test labs other than a slightly higher price tag. The process begins with ordering an STD test online from one of the several providers available. Once payment is made, you are given an identifying code and directed to a local lab where a urine or blood sample will be requested. After 2 to 3 days, you will receive your results online though you can pay an extra fee to get your test results within one day. There is no need to worry that the testing done at a free clinic is of lower quality simply because it is free. In fact, free STI testing clinics offer the same standard of services as a hospital, free of charge or at a very low cost. The same rigor upheld in hospital labs is maintained in these clinics. If you do not mind the lack of anonymity and the mandatory counseling many clinics provide at the end, then this is the option for you. Below are free or low cost STI testing clinics in Austin. Call the numbers indicated to find out more details regarding services offered or to make an appointment. Located on the first floor of RBJ Health Center. A fee of $20 is charged. Open Monday to Friday 8am to 5pm. Appointment required. 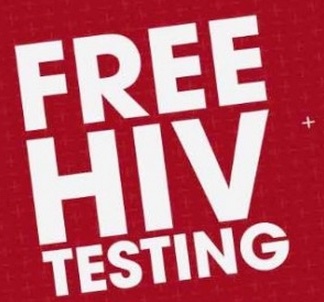 Free HIV and Hepatitis C testing. Open Monday and Wednesday 8.30am to 12.00pm. No appointment required. 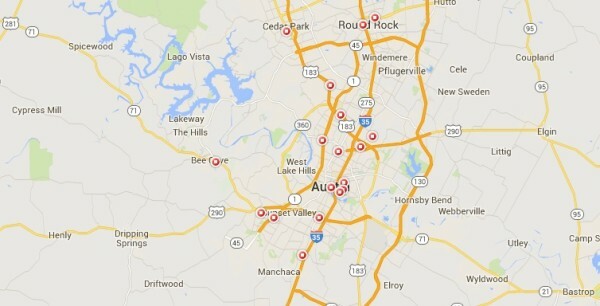 According to STDCheck.com, Austin has one of the highest STD infection rates among metropolitan areas in the United States. Generally, the number of STD cases has been rising in recent years. Here are some more facts on specific sexually transmitted diseases in Austin vs. the US. In 2016, Austin had an average Chlamydia infection rate of 614.7 per 100,000 people. The US average during the same year was 520.1 per 100,000 people. Gonorrhea occurs in lesser numbers than Chlamydia but in 2016, Austin experienced an infection rate of 183.4 in 100,000 people – 13% higher than the US average of 162.2! Austin saw a Syphilis infection rate of 41.2 per 100,000 of the population in 2016, higher than the US average of 36.7 during the same period. The US HIV infection rate is around 375 per 100,000, a much lower figure compared to Austin’s 547.7 per 100,000. Cases of HIV have been steadily rising over the last few years.